Mt. Pleasant is one of the most cherished neighborhoods in DC’s Northwest Quadrant for its quiet residential character mixed with its active community, emphasis on local business, and convenient central location. If you are considering moving to Mount Pleasant, you’ll enjoy a lifestyle that has the peaceful character of the suburbs blended with the excitement of urban living. Today we want to talk about some of the local’s favorite things to do in the neighborhood. From April 1st to December 23rd Mount Pleasant hosts a weekly farmers’ market on Saturday mornings at the Mt Pleasant St Plaza. 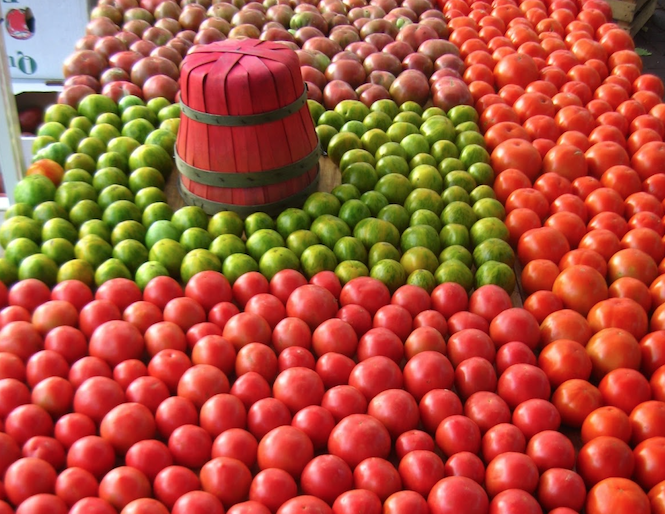 The market is strictly producer-only, meaning that all the fresh fruit, produce, eggs, and baked goods brought to the market are produced by those selling it. Everything sold at the market comes from one of the five states whose Farmland serves the DC area. Click here to learn more about the vendors and where they come from! But this weekly market is so much more than a place to buy local goods. They invite local musicians to perform each week, and you can even volunteer your time to support the market and be active in the community! The market also supports multiple charitable initiatives to fight hunger. The Mount Pleasant Farmers’ Market is a staple of the neighborhood. Whether you want to pick up some local, organic products, listen to talented local musicians, or contribute to the market’s ongoing success, it’s a wonderful place to spend your Saturday mornings. Past Tense Yoga is a local studio offering a welcoming atmosphere for yoga enthusiasts at all levels. Whether it’s your first time or you’re a yoga veteran, you’ll have access to an accomplished local studio offering a wide variety of classes and workshops. 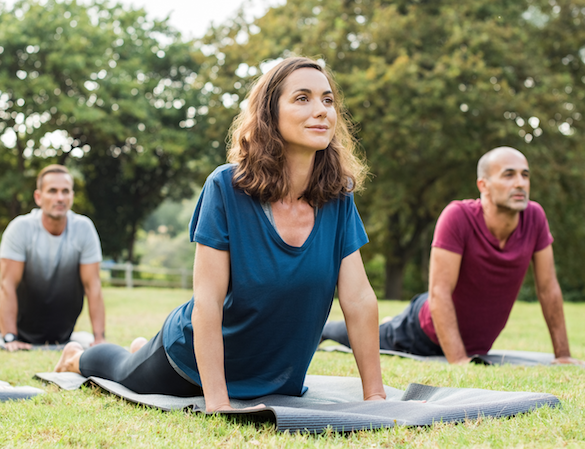 With special classes for beginners, seniors, prenatal yoga, and advanced participants, there’s something here for everyone to be a part of this local fitness favorite. They even offer regular classes at the Lost Origins Art Gallery so that you can exercise among inspiring modern works. Their studio is located on the corner of Mt. Pleasant St NW and Park Rd. You can see their class schedule and learn more here. Mount Pleasant is home to some of the Capital’s finest cuisine, and among all the wonderful restaurants, diners, and bars are some genuinely delicious ethnic offerings. Here are just a few local options for a delightful meal. Don Juan is one of the neighborhood’s go-to spots for tasty authentic Mexican and El Salvadoran cuisine. They are highly regarded for their excellent traditional dishes, welcoming atmosphere that embodies Mount Pleasant hospitality, and fun events. From karaoke to comedy shows, there’s always something interesting to enjoy while munching on some of Mount Pleasant’s best food. The Purple Patch serves Mount pleasant with delectable Filipino cuisine. Boasting award-winning authentic entrees and some of the best desserts you can find in the city, this cherished mount pleasant restaurant quickly became a neighborhood staple after its opening a few years ago. Swing by for dinner, drinks with friends, or a lovely brunch. You won’t be disappointed! This Authentic Thai restaurant is known for its authentic Thai cuisine, generous vegan options, and casual, welcoming atmosphere. It boasts DC’s best restaurant awards by readers of the Washington Express many times since it opened in 2010. Stop in for lunch or dinner any day of the week and enjoy one of Mt. Pleasant’s most beloved ethnic restaurants. One of the things residents love most about the neighborhood is its proximity to Rock Creek Park. If you’re a lover of the outdoors, a cyclist, or a pet owner, you’ll love this national park. 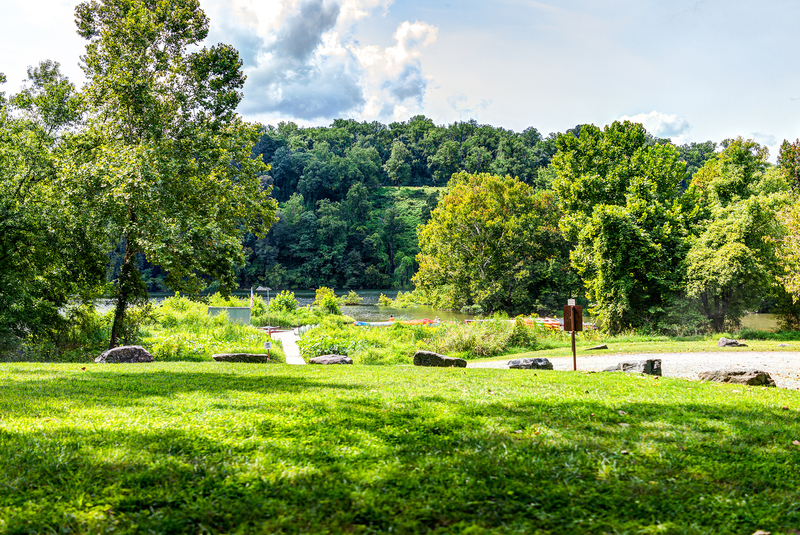 The park features plenty of hiking, running, and cycling trails with gorgeous views of the Potomac River and Falls, a planetarium, picnic areas, and more. For many DC residents, it provides a welcome respite from city life offering beautiful greenery, wildlife, and a clean and well-kept place for urban dwellers to truly enjoy the outdoors. On Sunday’s the close Beach Dr. to vehicle traffic, allowing pedestrians and cyclists to take full advantage of the scenic roadway. Mt. Pleasant is the perfect place to call home for those that value being able to do business with friendly local providers. The neighborhood’s affinity for local providers is one of its most beloved qualities as residents can support local retailers while getting that special “small town” level of service that has become so rare. Here are just a few of the local shops in Mt. Pleasant that residents love to visit. Mt. This shop has been a part of Mount Pleasant since the 1970’s. It’s a place you can go and browse a vast inventory of unique, rare, and curious items, oddities, and treasures. Whether you are looking for something specific or just want to browse, it never disappoints as a charming local shop with much to explore. Frugalista is a local thrift shop with an inventory of incredible deals on second-hand men and women’s clothing. With frequent promotions and sales, residents looking to get great deals on name-brand clothing love this neighborhood gem. If you need to restock your wardrobe without breaking the bank, we encourage you to check this place out. You might think it’s odd for a hardware store to make a “things to do” list, but Mt. Pleasant’s Old School Hardware represents everything the neighborhood loves about its business community. Offering everything from apartment and patio furniture to tools and home improvement supplies, swing by for all your hardware needs and enjoy a neighborly atmosphere, renown customer service, and knowledgeable staff you can count on. If you are moving to Mount Pleasant, you have a lot to look forward to. Of course, we couldn’t possibly list everything we love about the neighborhood in one article. As a community filled with fun and interesting places, fantastic dining, and community-driven events and businesses, we’ve only scratched the surface of everything the neighborhood offers its residents. For a more in-depth look at what life is like in Mt. Pleasant and a list of local resources, check out the Mount Pleasant Neighborhood Guide!